British Airways has notified the police after the theft of customer data from its website and mobile app. The airline said the personal and financial details of customers who made bookings on its website or app from 10.58pm local time on August 21 until 9.45pm on September 5 had been compromised. Around 380,000 payment cards were compromised. BA said the stolen data did not include travel or passport details, adding that it was investigating the security breach as a matter of urgency. The airline is scarce with details at the moment because the investigation is ongoing and it's too soon to evaluate the damages. They stopped the breach and notified the relevant authorities. "We will be contacting affected customers directly to advise them of what has happened and are advising them to contact their banks or credit card providers and follow their recommended advice," British Airways says in a statement. All operations are running normally at the moment, but users are advised to change their passwords and choose a unique and strong one. The air carrier also recommends affected customers to call their bank and follow their instructions, to minimize potential financial damage. To make sure their message reaches a large portion of its customers, British Airways pinned the breach announcement on its Twitter page, for all its 1.17 million followers to see. A similar incident was reported by Air Canada on August 28. Data from the mobile application had been accessed without authorization during a two-day interval, forcing the company to lock all its 1.7 million accounts. 20,000 customers were affected by that incident. The intruder could steal at least the owner's name, email address, and telephone number, because this is the required information for the mobile app account. Warning! If you are using Chrome browser extension from the MEGA file storage service, uninstall it right now. The official Chrome extension for the MEGA.nz cloud storage service had been compromised and replaced with a malicious version that can steal users' credentials for popular websites like Amazon, Microsoft, Github, and Google, as well as private keys for users' cryptocurrency wallets. On 4 September at 14:30 UTC, an unknown attacker managed to hack into MEGA's Google Chrome web store account and upload a malicious version 3.39.4 of an extension to the web store, according to a blog post published by the company. Upon installation or auto-update, the malicious extension asked for elevated permissions to access personal information, allowing it to steal credentials from sites like Amazon, Github, and Google, along with online wallets such as MyEtherWallet and MyMonero, and Idex.market cryptocurrency trading platform. The trojanized Mega extension then sent all the stolen information back to an attacker's server located at megaopac[. ]host in Ukraine, which is then used by the attackers to log in to the victims' accounts, and also extract the cryptocurrency private keys to steal users' digital currencies. 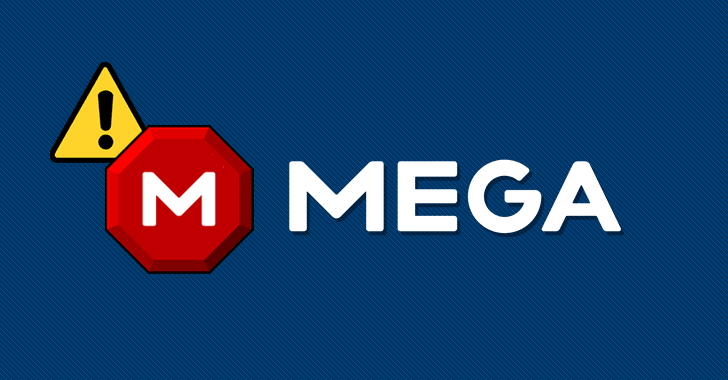 The Firefox version of MEGA has not been impacted or tampered with, and users accessing MEGA through its official website (https://mega.nz) without the Chrome extension are also not affected by the breach. However, users should consider their credentials being compromised on websites and applications they visited while the trojanized MEGA Chrome extension was active. This attack serves as a fresh reminder that legitimate browser extensions can and periodically do fall into the wrong hands, and that it makes good security sense to limit your exposure to such attacks by getting rid of extensions that are no longer useful or actively maintained by developers.